The Albanian tenor Saimir Pirgu recent London appearances have included a Rosenblatt Recital (see my review) and Szymanowski's King Roger at Covent Garden. His latest disc on Opus Arte is entitled Il mio canto and clearly is intended to showcase the tenor's voice. The recital includes opera arias by Verdi, Puccini, Gounod, Richard Strauss, Cilea, Donizetti and Massenet. Pirgu is accompanied by the Orchestra del Maggio Musicale Fiorentino conducted by Speranza Scappucci. The opening aria, Gabriele Adorno's Sento avvampar nell'anima from Verdi's Simon Boccanegra opens with a fine orchestral contribution and then Pirgu's entry is positively barnstorming. He relaxes as the aria develops, but he is clearly keen to show us that his voice extends from the lyric through to the more spinto roles, though I far prefer the beauty of his quieter singing. This sense of trying a bit too hard comes out on Che gelida manina from Puccini's La Boheme. Well enough performed, but what could have been a nicely lyric performance is in fact rather big boned, with the microphone catching something of a beat in Pirgu's voice. Over all, he seems to be trying to hard to impress. Salut! Demeure chaste et pure from Gounod's Faust seems to fit his voice far better and we are treated to some caressingly beautiful quiet singing. His French is pretty good too, though he has the standard Italian tenor trick of singing in good French style when quiet or low in the voice, but opening up the Italian manner on the top. The tenor aria from Richard Strauss's Der Rosenkavalier is a slightly strange addition to the recital, and again Pirgu spends a little too much time convincing us he is Pavarotti. E la solit storia from Cilea's L'arlesiana finds Pirgu on far more comfortable ground, and he relaxes into the song. His robust style works well with Cilea's music (post-Verdi but not strictly Verismo). We get two extracts from Verdi's La traviata, Alfredo's cavatina and cabaletta from Act 2 scene 1 though without any linking passage, but we do get the cabaletta repeat. Pirgu brings a nice sense of character to cavatina (it is a role he sings on stage), with a robust cabaletta. Returning to Gounod, we get Ah! leve-toi soleil from Romeo et Juliette and again we can appreciate how the French music suits Pirgu's voice. He sings with a certain style and a lovely sense of caressing the quieter passages (though I could have done without the guns blazing top note at the end). La mia letitzia infondere is from one of Verdi's lesser known pieces, I lombardi all prima crociata. Pirgu sings with a lovely swagger, style and a vibrant sense of line. Edgardo's final aria from Donizetti's Lucia di Lammermoor comes next. It is a fine, strong performance; quite robust in style with the sense of a strong line and character. Alas, we don't get the killer cabaletta which comes afterwards, instead we get left in mid air. And then Pourquoi me reveiller? from Massenet's Werther starts. This would seem to be a role which suits Pirgu well as it requires a degree of spinto strength in with the lyricism. And Pirgu really does have a feel for the suppleness required to sing Massenet's music. The disc concludes with a group of Verdi arias. Parmi veder le lagrime from Rigoletto, Ah la paterna mano from Macbeth, Quando le sere al placido from Luisa Miller and finally La donna e mobile from Rigoletto. Parmi veder le lagrime feels a bit generalised and in need of a bit more context with a worrying tendency to wobble on the long final note. 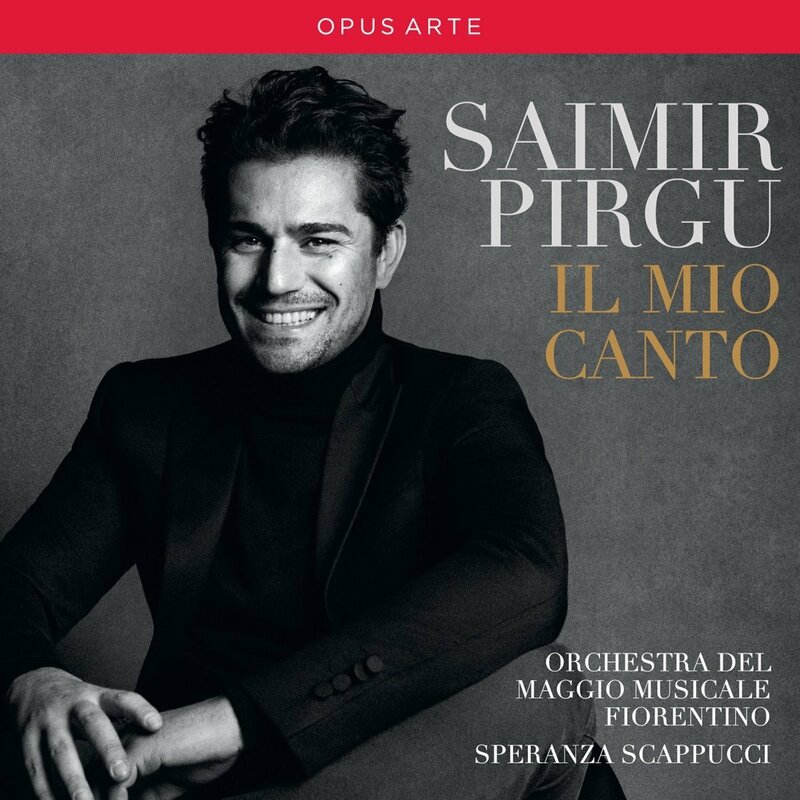 Throughout, Pirgu is well supported by the Maggio Musicale orchestra, conducted by Speranza Scappucci and for once we might regret that the orchestra does not get a moment to shine on its own, but its contribution to the more substantial arias is notable. There is much to enjoy in this recital. But throughout I felt that Pirgu was trying too hard to convince us he was a candidate for the three tenors, rather than capitalising on his many gifts. The recording does pick up a significant beat in his voice, so it may be that something more sympathetic might help. But I wanted more of the lyrical French numbers and less of the grandstanding.